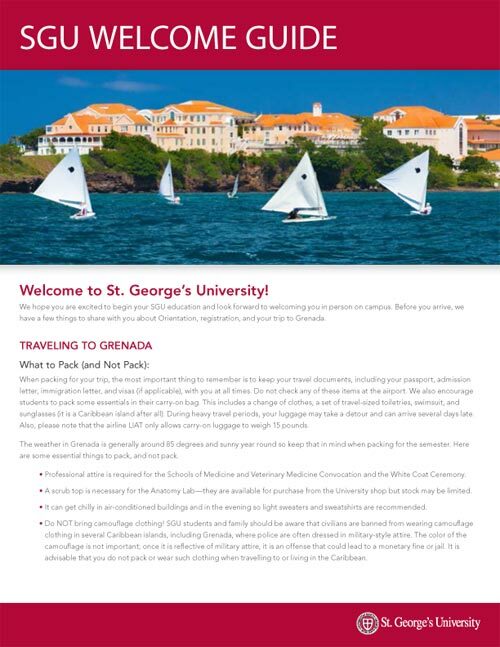 SGU will pay the customs fees for up to three electronic devices for students coming to Grenada for the first time in August 2016. This form MUST be completed with serial numbers for your devices to be covered. Do not complete this form until you are definite about the devices you are bringing. 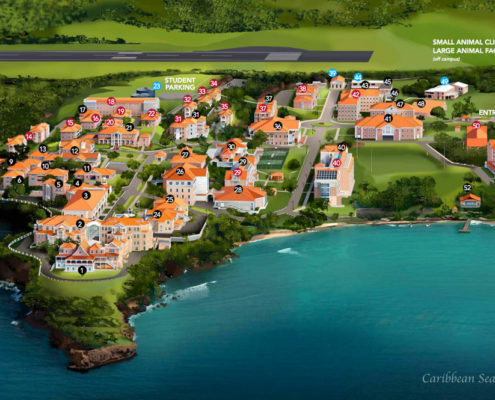 We are here to help you as you become a part of our vibrant international community to ensure a seamless transition to campus. Here you will find answers to all of your questions about confirming your acceptance, housing, registration, student support services, what to pack, and beyond. If you can’t find what you are looking for, or would like to speak to either an admission counselor, current student, or graduate you can always contact us directly. Please see below for our contact information. To speak to a graduate fill out this contact a graduate form and one of our graduates will be get back to you as soon as they are available.